With a 15-screen movie theatre, farmer’s markets, a public golf course, a skating rink, restaurants and major retail stores throughout the city, White Plains offers something for everyone. A bustling urban center by day, White Plains also exudes a small-town vibe after the influx of shoppers and commuters depart at 5 o’clock. 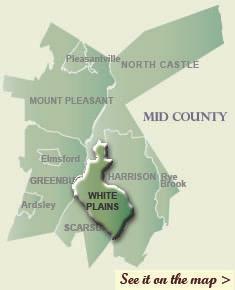 First settled in 1683, White Plains was the site of the Battle of White Plains, fought in 1776. Following the retreat of George Washington&apos;s Army northward from New York City, British General William Howe landed troops in Westchester County, intending to cut off Washington&apos;s escape route. Washington retreated, establishing a position in White Plains, but Howe&apos;s troops drove Washington from Battle Hill near the city. With Bloomingdales, The Westchester (featuring the only Neiman Marcus within 90 miles) and The Galleria, White Plains is a shopping mecca. 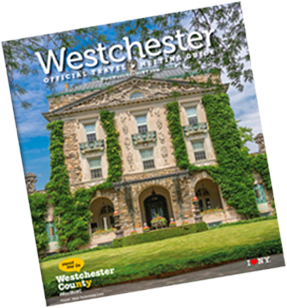 Westchester County Center: A 5,000-seat multi-purpose arena in White Plains that hosts a broad range of concerts and musical offerings, sporting events and trade shows for the area. Silver Lake Preserve: Silver Lake Preserve features trails through woodlands and unmowed fields, some small streams and old stone foundations throughout its 236-acres. The Jacob Purdy House: General Washington&apos;s Headquarters from July 23 to September 16, 1778. Historians also believe it to have been the General&apos;s Headquarters before the Chatterton Hill battle of October 28, 1776. On April 31, 1979, the house was placed upon the National Register of Historic Places.